After 3+ months of 18 hour days and no weekends at work, Josh and I traveled to San Antonio, TX for a huge work conference, and the launch of a product I had been working on. It went very well, and we had scheduled a vacation directly afterwards in Palm Springs with a bunch of friends. 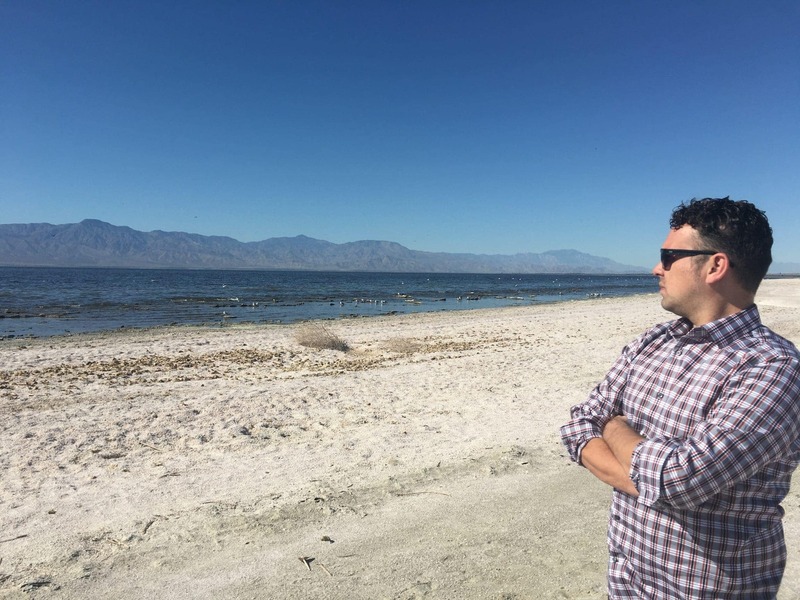 While we were there, we decided to do a bit of exploring on the final day, and ventured out to the Salton Sea, which I’ve always wanted to see. The house we rented was absolutely amazing. It had the usual fancy outdoor pool, a putting green, cabana, fire pit, and a separate casita where Josh and I stayed. It was wonderful to have such a nice place to relax after a pretty terrible last 3 months on the work front. The first night we were there, we were treated by a crazy light show in the night sky. 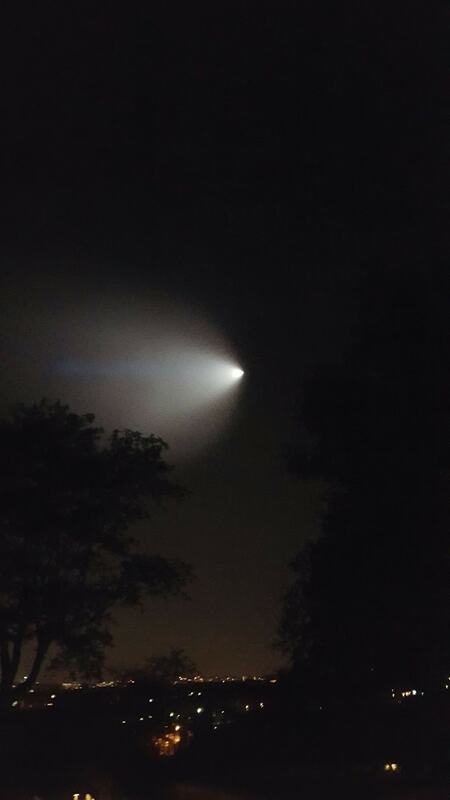 After tweeting and watching news sites, we gathered that the Navy had done a test fire of a Trident missile from a sub or ship off the coast, and it had lit up the night sky with crazy images. Why they decided to do this on a busy weeknight right at commute time is beyond me. Our final day in Palm Springs we decided to trek out to the Salton Sea to see what it was all about. Both Josh and I love abandoned and decayed architecture, and we’d heard there were structures and even a whole town that was worth seeing. The Sea itself was awe inspiring – Josh read out loud while we circled it the way it was created, the opulent seaside houses that were built in the 1950s, and the downfall with the Imperial Valley food empire and fertilizer draining into the basin. 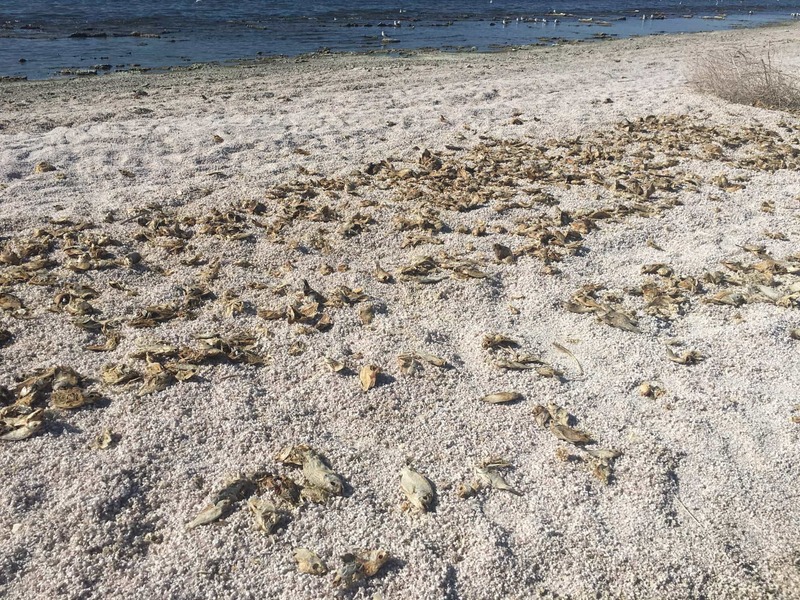 The fact that many of the dead fish and sea life you see has been slowly decaying over a 10 year period blows my mind. We found the town in question, but of course I forgot to take pictures! There were abandoned buildings, movie theaters and otherwise. We also found an entire grid of streets, each named after the states in the US, worth of empty lots and single houses – miles of potential near-beach housing that was never built, or has been torn down. 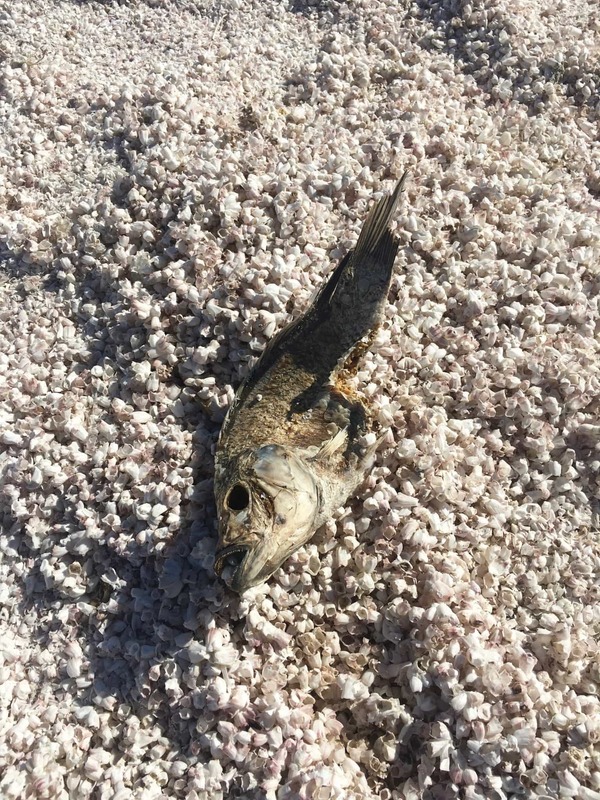 The story behind the Salton Sea is worth a read – check out the wikipedia article above, and do a search on Google for more background. It’s a crazy story of how our quest for food and industrial might created something fantastic in the 1800s, and then turned into what looks pseudo-nightmarish now. Highly recommend a visit! A friends birthday near Long Beach brought us a trip to a carriage museum, a broken drone, lighthouses, and a wind storm.